Our Bennett Foam Australia Polyurethane blanks are considered to be the best in the world. 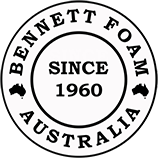 Our Bennett Foam Australia Blank Formula is known for its whiteness, small cell structure, consistent density, strength and lightness. 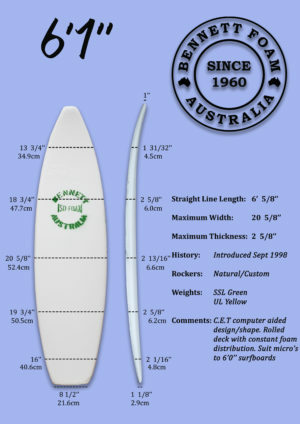 It is very important that a shaper selects the right surfboard blank. The blank chosen should be as close as possible in size and shape to the final board. As to cut away too much foam by either a shaping machine or by hand by the shaper, can weaken the foam and result in a surfboard with poor flex. Our PU blanks range from 6’2” to 10’1”. The density of the foam is another important aspect to be considered when choosing a blank. 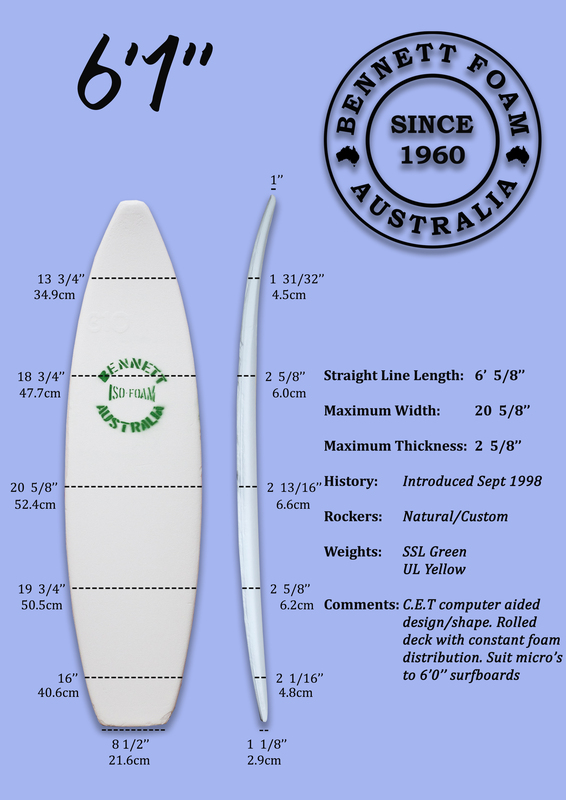 A surfboard being shaped for a beginner surfer would be shaped using a different foam density than the foam density used for a Pro Surfer, as well as to the type of board being shaped; a short board foam density is different to a longboard blank density.